WARNING: After you eat chicken that has been dry-brined, it will be hard to prepare chicken any other way. Knowing this technique will boost your cooking confidence immensely. If dry, flavorless chicken is an issue in your kitchen, THIS is the solution. 1. Eight to twenty-four hours before cooking: trim excess fat from chicken. Wash and pat dry with paper towels. 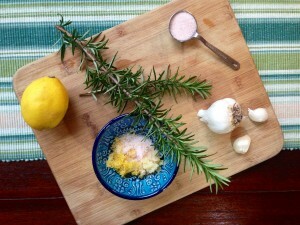 Place chicken in a large mixing bowl and add zest, rosemary, garlic and salt on top of it. Using your hands to massage the marinade ingredients all over the chicken really well. Loosely cover with a dish towel and refrigerate for eight to twenty-four hours. 2. Pre-heat oven to 400 degrees. Remove chicken from fridge 30 minutes before you plan on cooking it so it loses the chill from the refrigerator. With your hand wipe off the zest, rosemary and garlic and discard. 3. Place the chicken in a roasting pan; put it in the oven. 4. After 30 minutes, spin the pan around 180 degrees. Continue to roast until a thermometer inserted in the deepest part of the thigh, but not touching the bone, reads 165 degrees, about 1 to 1 ¼ hours total roasting time. 5. Remove the chicken from the oven, transfer it to a warm platter or carving board; tent loosely with foil. Let stand at least 10 minutes to let the juices redistribute through the meat. Carve and serve. 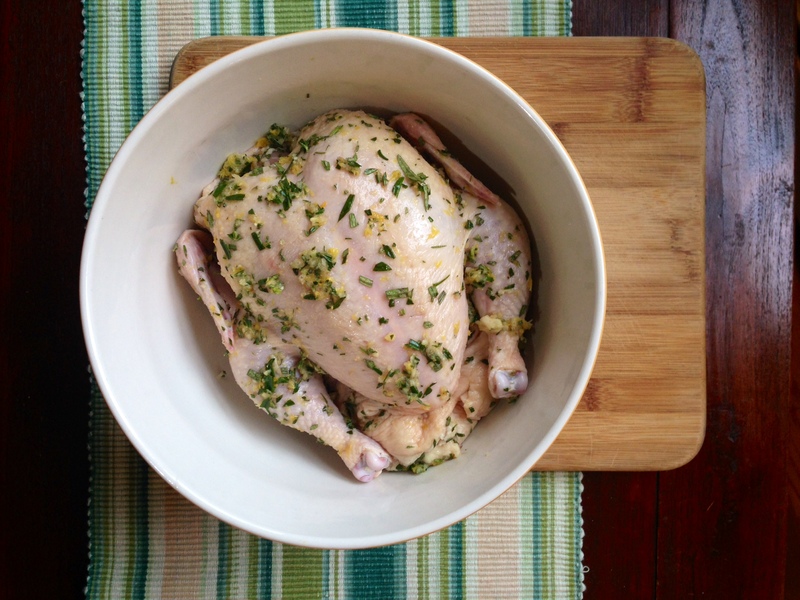 To dry brine simply means to salt your chicken and let it sit overnight in the refrigerator uncovered. The salt draws a tiny bit of moisture from the bird. This moisture mingles with the salt, herbs and lemon, and then – Here’s the best part - works its way back into the meat, seasoning the bird ALL THE WAY to the core. Dry-brined birds have superbly moist meat with incredible flavor. 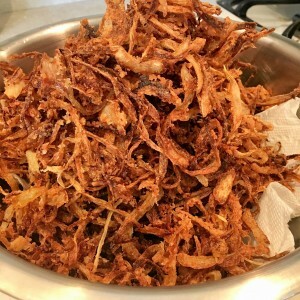 I originally learned this recipe from Peter Berley in his North Fork Kitchen. It's best to marinate the chicken for at least eight hours, and up to twenty-four hours, before cooking - trust me on this, the results make the pre-planning worth it. Keep the chicken loosely covered (not airtight) while it’s sitting in the fridge - this will allow the skin to dry which will result in perfectly crisped skin when cooked. Be sure to wipe off the rosemary, garlic and zest before cooking or else the little bits of them will burn. The flavor of the marinade ingredients will have infused into the chicken so you don’t need the bits for flavor after its marinated.